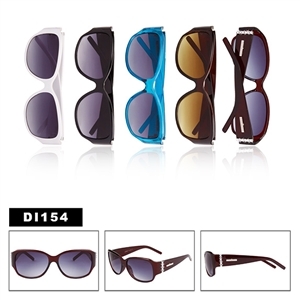 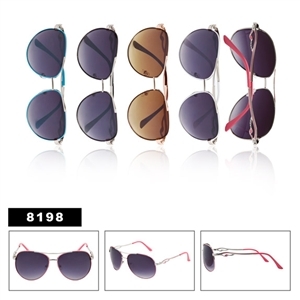 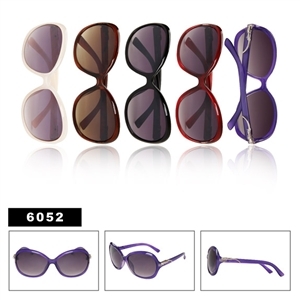 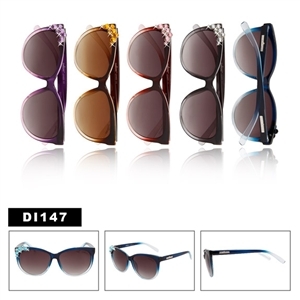 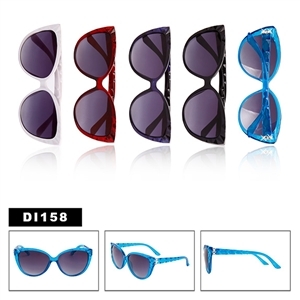 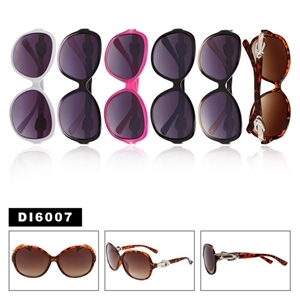 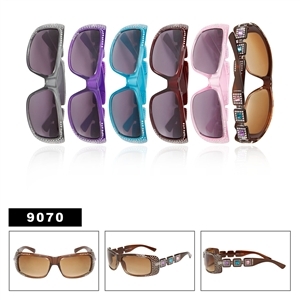 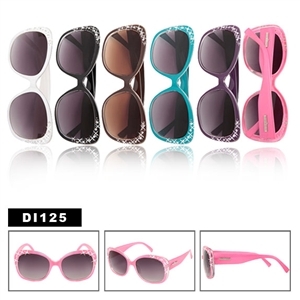 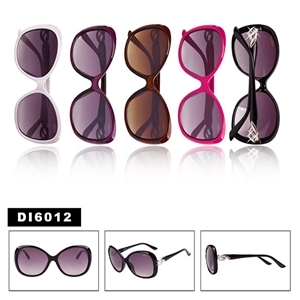 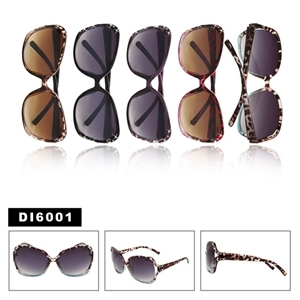 In the fashion world Rhinestones are seen on higher end sunglasses and also replica sunglasses. 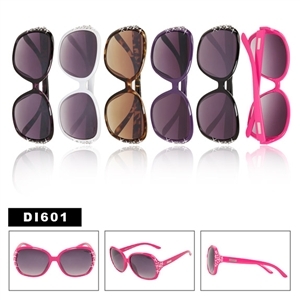 Rhinestones come in clear and also different colors. 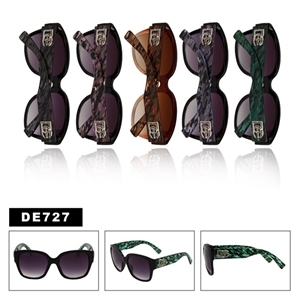 Many wholesale sunglasses companies offer the clear stones on the sunglasses but now you are even seeing ones in different colors. When buying your designer sun glasses make sure the stone qualities are good this can make a big difference when retailing them. 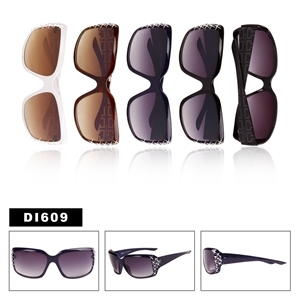 Two simple words that can describe these rhinestone sunglasses are elegance and glamour. 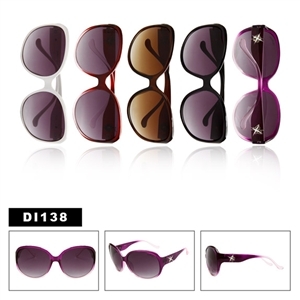 Believe me, after wearing these sunglasses, you will feel a glamorous change in your personality. 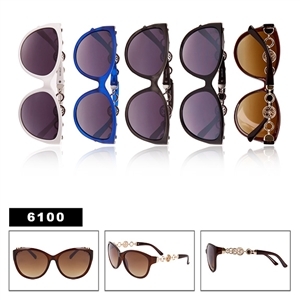 Can these shades really make you feel glamorous? 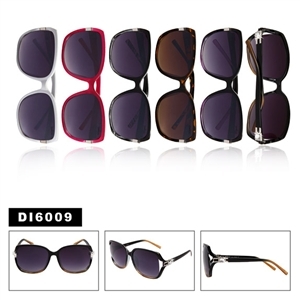 It really depends on the individual. 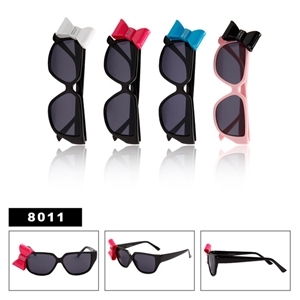 Prices on the wholesale rhinestones sunglasses can very from around $20 a dozen and up depending on how many stones they have. 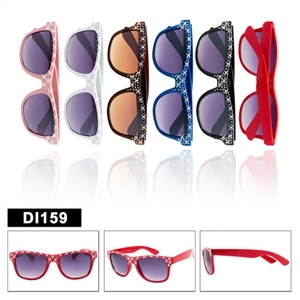 If you are buying for a retail outlet then these will be some of your best sellers but you will also want to carry some of the hot selling wholesale shutter shades.